DUI consequences depend on how many drunk driving offenses you already have on your criminal record. If you or a loved one has been convicted of drunk driving, your next step should be to contact an East Lansing DUI attorney (if you haven’t already) as soon as possible. They will be able to help you figure out your next steps so you can qualify for driver’s license restoration after a DUI and rebuild your life. If this is your first DUI conviction, your driver’s license will be sanctioned and possibly suspended for six months. You could also face up to 90 days in jail. A Level 1 drunk driving offense is reserved for first-time DUI offenders. A Level 2 drunk driving offense means that you have two drunk driving convictions on your criminal record within a 7-year period. The consequences of a Level 2 DUI offense include losing your driver’s license indefinitely. While a drunk driving attorney can help you restore your driver’s license, it won’t come without effort. You’ll have to wait a year before beginning the driver’s license restoration appeal process. You will also have to offer significant proof to the courts that you have stayed sober during that time. 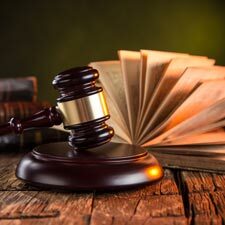 Your DUI attorney can advise you of what steps to take after your second DUI conviction. A level 3 drunk driving offense means you have accrued three or more drunk driving charges on your record within a 10-year period. When you have three or more DUIs, you will permanently lose your driver’s license and won’t be able to appeal the decision for 5 years. If you are serious about turning your life around, a DUI lawyer can advise you on what steps to take to prove your sobriety to the courts. Five years is enough time to get your life back on track so you can get sober and restore your driver’s license. A Level 3 drunk driving offense is a felony, which means you could also spend up to five years in jail. How can I get my driver’s license restored? Not having your driver’s license can be a major inconvenience. Most people depend on being able to drive their cars in order to get to work, run errands, or drop their kids off at school. For this reason, it’s important that you hire a drunk driving lawyer who will fight aggressively for your legal rights. A reputable DUI lawyer will be able to help you through the process of becoming eligible for driver’s license restoration. Who can help me with a drunk driving offense? As soon as you have been charged with drunk driving, it is important to contact an East Lansing attorney experienced in handling drunk driving cases. Since the laws for drunk driving offenses vary from state to state, it’s important that your attorney stays up-to-date with Michigan drunk driving laws. The East Lansing DUI attorneys at Foster & Harmon, P.C. are dedicated to helping clients understand their legal rights after a DUI conviction. 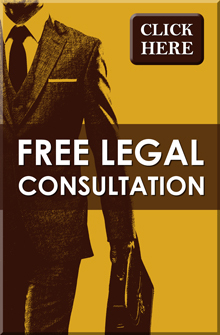 If you are interested in setting up a free legal consultation, give us a call at (517) 337-4600.